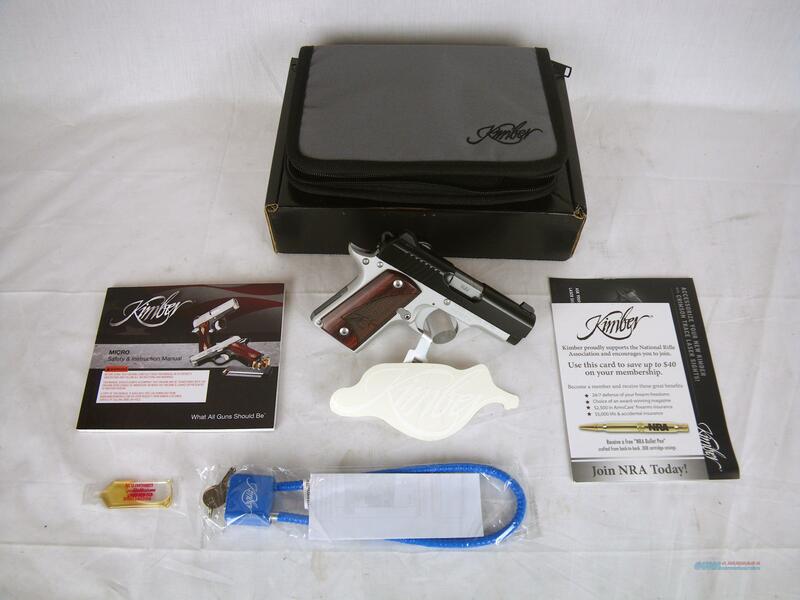 Description: You are bidding on a new Kimber Micro 9 Two-Tone in 9mm with a 3.15" barrel. The easily concealed Micro 9 features mild recoil, smooth trigger pull and the intuitive operation of a 1911. This handgun comes with rosewood grips and an all-metal construction. Displayed images are stock photos. Any questions please feel free to ask (our phone number is in the additional information tab above).